This large spacious beautifully decorated property, which overlooks the Atlantic ocean and has spectacular views of the Aran Islands and Mutton Island, is just a short walk from a beautiful sandy beach and Spanish Point Golf Course. 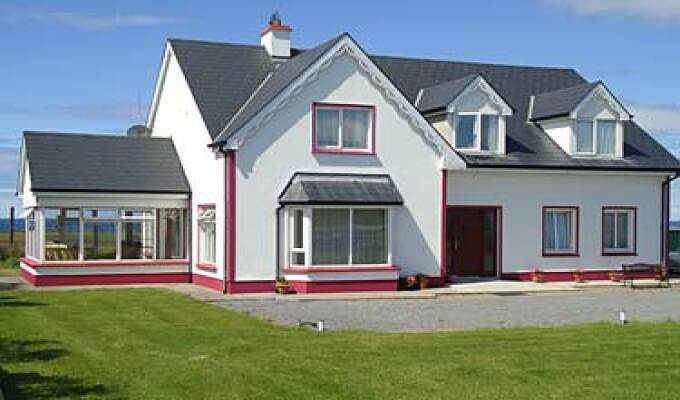 Ideally located for easy access to Lahinch with its aquarium, surf school and 18 hole championship golf course. A wonderful start point to Doolin, the Burren, the Cliffs of Moher, Alliwee Caves, Kilkee (Greg Norman designed Golf course) and Kilrush with its marina. Great place. Beautiful view. Super nice lady.